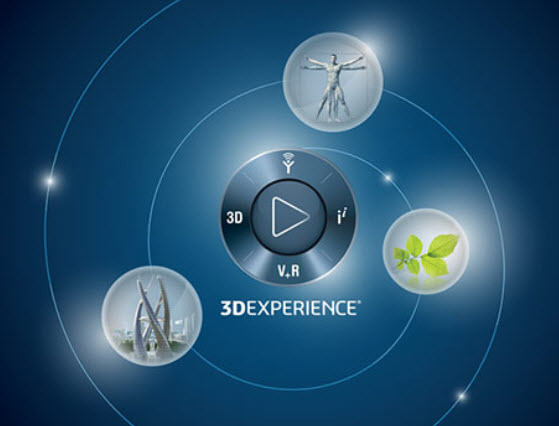 SIMULIA is excited to announce the release of the R2019X portfolio, with a focus on the applicability, efficiency and scalability of our digital physics offerings. This release also includes new ways in which all of our products are working more closely together, delivering the highest level of coordinated enhancements for “out of the box” end-to-end industry processes. Whether you’re creating cars, aircraft, cell phones, turbines or medical devices, there are a multitude of variables that could affect your product outcome. Power’By for Simulation – In R2019X you’ll find 28 out of our 29 user roles available on the cloud. Specific enhancements include the ability to upload result data, plots, and animations for both XFlow Specialist (for fluid simulation) and Simpack Specialist (for multibody simulation). Fluid Simulation for Designers/Engineers – R2019X continues to enhance our computational fluid dynamics (CFD) portfolio, which covers both mainstream and industry-specific CFD simulation. Enhanced Digital Additive Manufacturing – R2019X increases AM efficiency, usability, and confidence that your parts will “Print to Perform” with the following enhancements: assembly, support, thermal optimization, automated smooth-geometry reconstruction, an improved Eigenstrain method and a new voxel-based mesher to simplify complex geometries. Abaqus – A powerful and complete simulation package for both routine and sophisticated problem solving. Our scalable suite of unified analysis products allows all users, regardless of their simulation expertise or domain focus, to collaborate and seamlessly share simulation data and approved methods without loss of information fidelity. fe-safe – A powerful, comprehensive and easy-to-use suite of software for fatigue analysis from finite element models. It is used with commercial structural analysis (FEA) software, to calculate where and when fatigue cracks will occur and whether they will propagate, and to predict service life variation and is used by leading companies in automotive, heavy truck, off-highway, marine, defense, offshore, power generation, wind energy, medical engineering and many other industries. Isight/SEE – The industry-leading simulation process automation and design optimization software, providing solutions that enable users to reduce analysis time and costs while improving product performance, quality and reliability. SIMULIA Execution Engine (SEE) provides state-of-the art Fiper technology for distributing and parallelizing simulation process flows. Together these allow customers to build a web-based framework for distributing the execution of simulation processes to optimize computing resources and enable collaboration across the enterprise. XFLOW – Offers particle-based Lattice-Boltzmann technology for high fidelity Computational Fluid Dynamics (CFD) applications as part of SIMULIA’s Fluids Simulation portfolio. The state-of-the-art technology of XFlow enables users to address complex CFD workflows involving high frequency transient simulations with real moving geometries, complex multiphase flows, free surface flows and fluid-structure interactions. SX2 (CST) – Electromagnetic (EM) components are crucial to the success of an ever-increasing range of products. With solvers that span the frequency spectrum, CST STUDIO SUITE offers a complete technology package for design, analysis and optimization. Used by leading technology and engineering companies around the world, SX2 (CST) provides a realistic system to analyze product performance and verify legal electromagnetic compatibility (EMC) and exposure limits. For complete details about all SIMULIA products, please contact your Dassault Systèmesrepresentative or visit: www.3ds.com/simulia. And watch out for our upcoming product webinar series coming next spring!